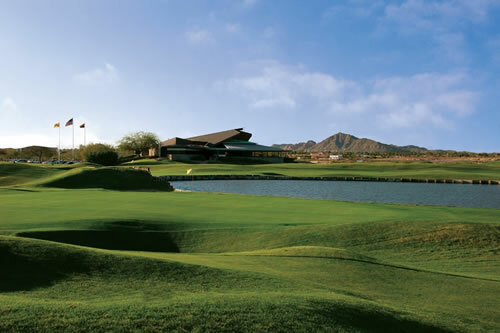 The ASU Karsten Golf Club is a public desert style golf course located in nearby Tempe, AZ. Designed by Pete Dye, this links style design features rolling hills, rising and falling fairways, and partially hidden greens; well guarded by bunkers or water. 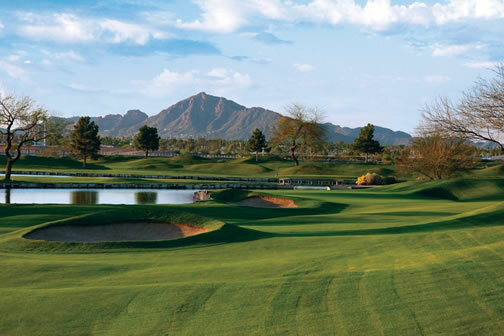 Enjoy amazing views of the mountains and desert landscape that surround the Arizona golf course. ASU Karsten is neither the longest nor the toughest public course in the valley, yet challenge is natural in the design. Four sets of tee placements make this course enjoyable for any level player. Also, a great benefit to this course is the proximity to the airport (less than a 10 minute drive). ASU is the perfect start or end round on your Arizona golf vacation. From Phoenix Sky Harbor Airport: Follow the airport signs to the Loop 202 E. towards Tempe. Merge onto Loop 202 E. and continue 1.7 miles. Exit Scottsdale Rd. via exit # 7 towards Arizona State University/ Rural Rd. Turn right onto Rural Rd. Turn left on Rio Salado Parkway. The entrance to ASU Karsten is located on the right hand side of the road.